Buy SoundCloud Comments | Get it for $0.258 per comment! We at Buy Real Marketing can provide you with Soundcloud comments that will enable your music to be heard by more people while you concentrate on improving your craft. Yes, you can get this from other providers but Buy Real Marketing has the edge and we have thousands of clients who have seen real results with our help. Buy Real Marketing will deliver comments on your Soundcloud tracks, boosting your popularity and credibility among your followers and new visitors. 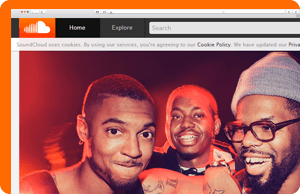 We will also share your profile to over 100,000 Soundcloud accounts that we are managing. Once you have placed your order, all you need to do is to sit back and watch as new followers come flocking to your site.